The 22-year-old had been courted by a number of clubs, including Arsenal and Tottenham, but was expected to complete his move to the San Siro on Monday - subject to a medical. "Contracts signed with Monaco for Geoffrey Kondogbia," read a statement on the club's official Twitter account on Sunday night. "The Frenchman will undergo a medical in Italy tomorrow." Nerazzurri coach Roberto Mancini had made no secret of his desire to sign a midfielder and had been linked with a move to re-sign Yaya Toure of Manchester City. News of the deal is a major blow for Inter's city rivals AC Milan in their pursuit of Kondogbia. The club's CEO, Adriano Galliani, told La Gazzetta dello Sport that a fee between the Ligue 1 side and the Milanese giants had been agreed last Friday, as well as personal terms with the France international. "It was all done," said Galliani. "Monaco had given us the all-clear for the sale at €40m with payment spread over two years, €20m and €20m. "The agreement with Geoffrey had already been sorted out the night before and was confirmed that same morning by him and his father. After we exchanged the documentation…everyone disappeared. Evidently they changed their minds or the others offered more." 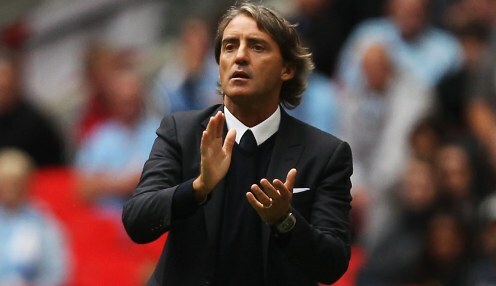 Mancini is keen to improve on a disappointing campaign which saw Inter Milan finish eighth - 32 points behind Scudetto winners Juventus - and his side are currently priced 1/1 in the Serie A outright winner betting.